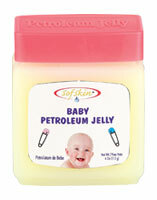 With fresh fragrance is a loveable product for babies. The jelly works as moisturiser to soften skin and give smoothness. Retaining tenderness of supple skin, specially made for delicate skin types. 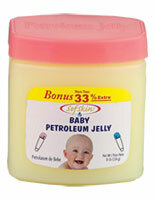 Protects skin from rash and itching, making skin healthier with necessary nutrients. • The mild fragrance keeps nappies fresh suppressing stench and bad smell. Available in two different sizes of pack for easy application and usage.